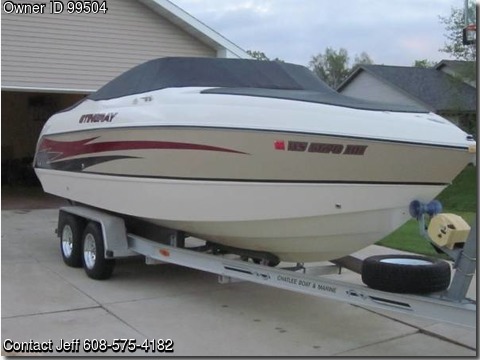 Please call owner Jeff at 608-575-4182.
snap in carpet, loads of storage, 5.0 Mercury with Alpha1 Drive, SS prop, spare aluminum prop. All Aluminum tandem axle trailer with surge brakes, new tires and alum rims. If you’re looking to step up to a bigger Bow rider, this is the boat for you.